Let us transform your home into a wonderful restaurant with a menu designed entirely around you. A Private Chef service makes for a unique culinary experience. It can put a fresh twist on a family dinner, a brunch with friends and even date night, and is a great way to mark important moments like birthdays, bridal showers and anniversaries. You'll breeze through our questionnaire, which will allow our expert chefs will send you menu proposals customized to your taste. Choose your favorite menu from the ones you receive and on the day of the meal, your chef will pop over to their preferred local market to buy fresh ingredients. Your chef will cook the meal directly in your home and provide table service for you and your guests. We don't want you to fret about any clean up either, so they’ll make sure your kitchen is spotless before leaving. Our specialty is finding the right chef for each client, and with more than 60 chefs in Columbus alone, we know we'll succeed. Our chefs have a vaste experience in leading restaurants, hotels, gastropubs and more. And each one has trained at a top culinary school. Once you receive a menu proposal, you'll be able to view the chef's professional background and chat with them directly. They'll be happy to answer any questions and make changes to the menu they sent. 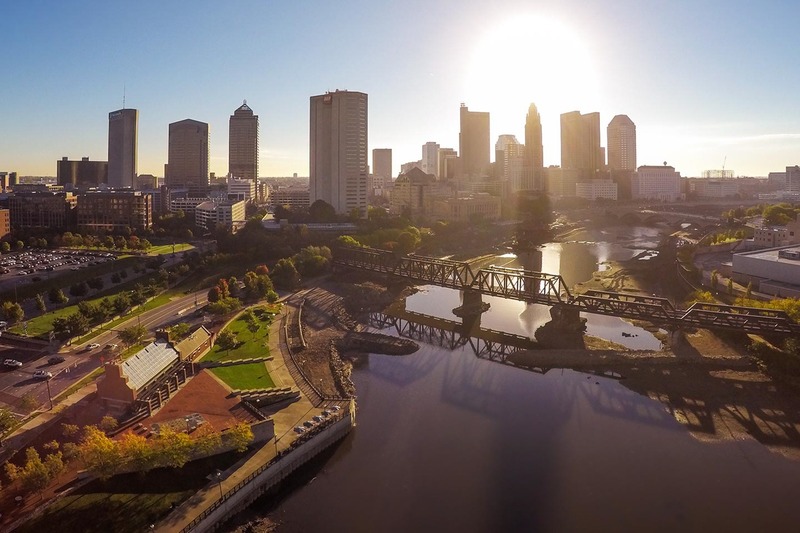 Columbus is known as the dining Mecca of the Midwest and for good reasons. It's thriving restaurants are adventurous and varied, with such players as Lindey's, The Pearl and more. These restaurants are certainly worth a try. But it's not quite what we're going for at Take a Chef. We dream of playing matchmaker, finding expert chefs and matching them with the client's who share a love for the same cuisine and style. We believe it's the best way to let a chef express themselves freely in their dishes and also to create an unforgettable dining experience for our clients. If you'd like to try it, click above! It is certainly one of the best gastronomic experiences I have ever tasted. I would recommend it to everyone.